The new plan calls for 40 stories and 800,000 square feet of office space. 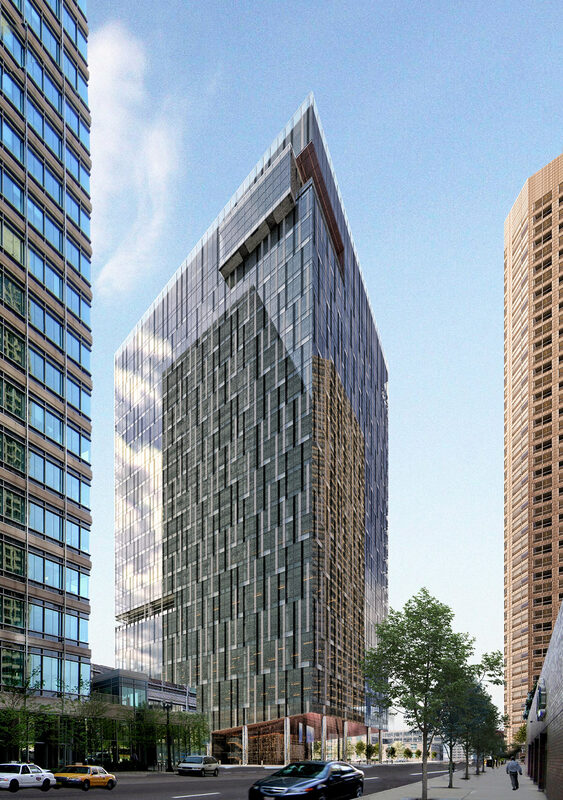 Depending on the reaction from tenants and capital markets, he also could look to tack on a 300-room hotel and 450 apartments above the office space, which would raise it to 75 stories, Mr. Fifield said. A rendering of the building Fifield plans at 625 W. Monroe. The designer is SMDP Studio. The final building could end up taller and larger than this 40-story design.